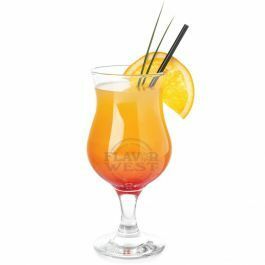 Fuzzy navel flavoring gets it superior taste from the blend mix of sweet, ripe orange & peach flavoring. The duo combination in a single flavor offers a great taste citrus flavor without any sweetener. Please Note: Flavor is highly concentrated (Shake well before use). Natural citrus flavors can separate when mixed with glycerin and other base materials. Type: Fuzzy Navel Water Soluble Flavoring. Ingredients: Natural and artificial flavoring and propylene glycol. USP Kosher Grade Flavoring. Usage Rate:15-20% for E-use. Flavor Suitability: Drinks and beverages, smoothie, desserts, pastries, baked treats and more. Specific Gravity: 1.00 No Refunds on Flavoring.